How long I have waited for this… Regular readers will know about my fascination with Jeff Rowland. 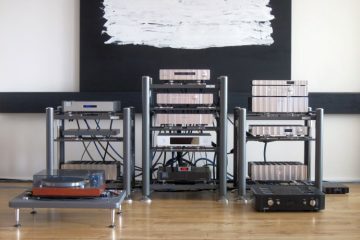 The brand’s amplifiers have been at the heart of my systems throughout the last 15 years. Oh, I have tried to move sideways and various amps have come and gone but never did an amp form an overall better match with my Martin Logans or Magnepans. For years I have had fantasies of a digital source from Jeff Rowland. 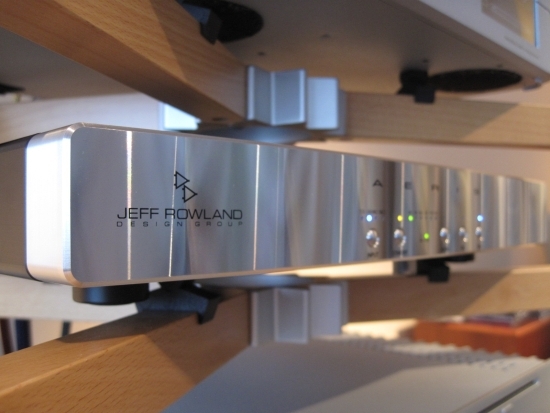 Just when I had abandoned the idea, all of a sudden, there it was: Jeff Rowland’s first DAC! The Aeris DAC became available around a year ago but aquiring one for review seemed impossible because the Dutch distributor had retired a few years ago. 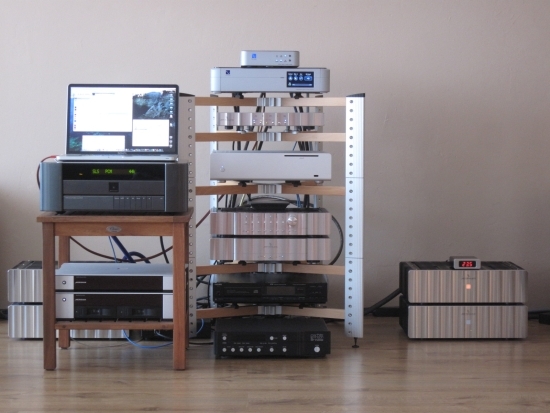 But there’s a new distributor in town: HVP audio. All it took was one email. Two days later the Aeris was delivered to my front door. Imagine my anticipation! 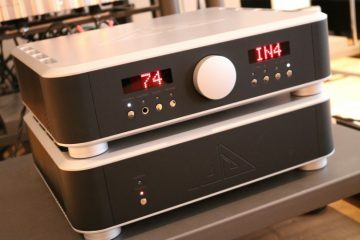 The Aeris is a modern Jeff Rowland product in that it uses a switched power supply but other than that it is classic JRDG: a heavy solid block of aluminum with machined cavities for the electronics. As with recent JRDG preamps, the circuitboard is very neatly organised and doesn’t hold many components, yet the sound is typical Rowland: smooth, liquid, refined and highly detailed without ever sounding agressive. But there’s also a newfound beat in its step. Rowland components have always been good at micro dynamics: small nuances at the bottom scale of loudness that other audio products often seem to gloss over. 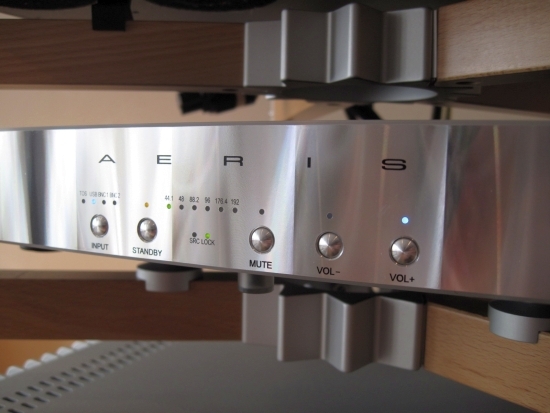 The Aeris is no different in that aspect but adds sublime dynamics on the macro scale as well as excellent PRAT, not to mention killer-bass! But I’m getting way ahead of myself here. Let’s step back a bit and take a look at the context. Regular readers will know a little about my history with computer audio, or, Next Gen Audio, as I call it in the recent years. But let me explain a little for those who don’t know. 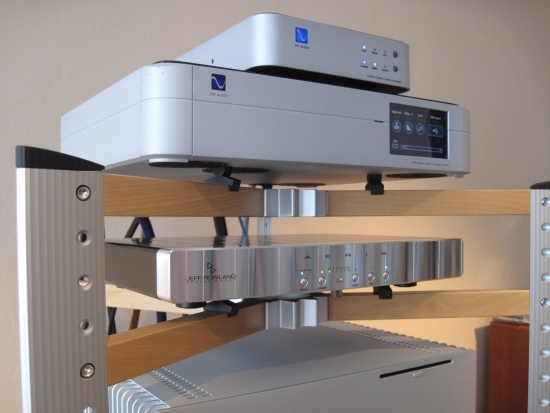 After having used standard computers (Windows and Mac) with various PCI and USB interfaces, the best of which was achieved with the M2Tech HiFace Evo running ST glass to a Levinson 360S DAC, I decided that regular computers just couldn’t match the musicality of the best CD players. 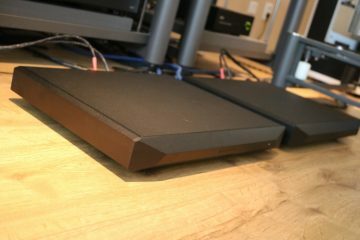 I then bought a Synology NAS and tried the whole range of big name UPnP devices: Linn Klimax DS/0 and DS/1, Naim NDX, PS Audio PWD MKII and many more. Good sound was to be had, for sure, but I found stability and user interfacing to be lacking, so I looked to the biggest name in music servers: Meridian. I tried almost the entire Sooloos range and finally decided on the MD600 + 818 Reference Audio Core combination. To my ears, these components managed to combine the best of all worlds in a great mix of dependable service (Sooloos units are fool-proof and rarely have network issues), the overall lack of computer sound, the big soundstage and dynamic basspower of the PWD MKII and the refined fluidity and airyness of the Klimax DS/1. For 5 months this was my audio nirvana. But something was undermining my happiness and it wasn’t sound quality, but a persistent bug in Control:PC, the Windows software that is used for importing audio into the Sooloos library. I was initially hopeful that this bug was going to be adressed in an upcoming software update, but thus far, the bug is still there. This made me look for alternatives. Along came the Aurender S10, operationally almost up to Sooloos-level and sonically very good, if not on the level of the MD600+818. Then, out of the blue, a small Dutch company offered their brand new server for me to review and I took the offer. I’m glad I did, because the AAZ Ultra Flow, as it is called, was so good that it made even my Sooloos pairing look old hat in some respects. 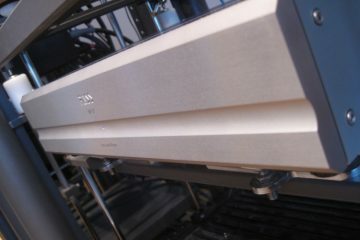 The AAZ Ultra Flow is an iPad-controlled server and to complete the system, it needs a USB DAC. For two months, that meant the PS Audio PWD MKII. 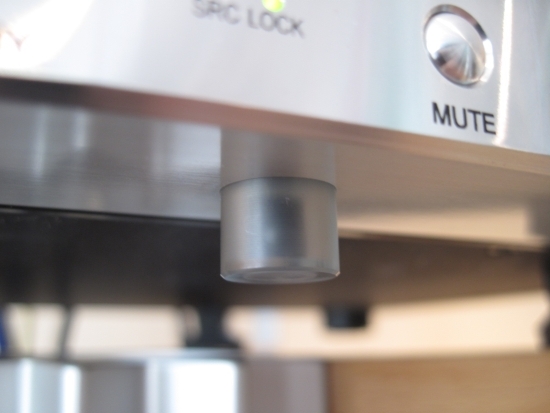 Even if this DAC doesn’t possess the finesse or treble air of the Sooloos system, it just somehow sounded right and emotionally very appealing. 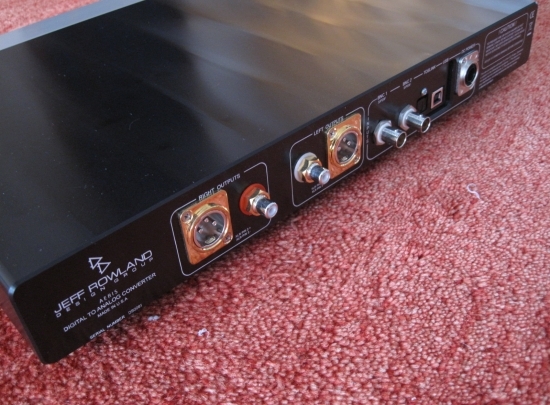 I knew that the PWD wasn’t perfect, but a better DAC would surely come along. Boy did it ever! Now that I have explained a little about my audio history, it is easier to paint the picture for the actual object of this review, the Jeff Rowland Aeris. This particular unit has been used on a daily basis and as such the unit is run in and only cooled off shortly for its trip to my listening room. I disrespectfully plunged the Aeris on top of the AAZ Ultra, that was sitting atop the Meridian 818 itself. Hardly the perfect setup. 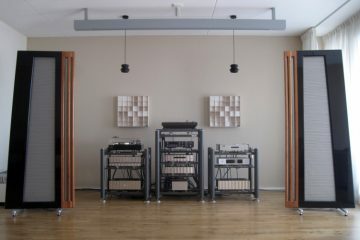 But it would only be for a quick listen, before the Spider rack would be disassembled and rearranged for providing the Aeris with its dedicated Spider level. I will gladly admit to being biased toward Jeff Rowland, this is no secret, but I am also extremely critical. If something doesn’t perform well, then I will make note of this. Naturally I was hoping that the Aeris would be fantastic, but the thought “what if it isn’t?” had occured to me. What if it didn’t match in my setup? In audio after all, balance is everything. So I tempered my enthusiasm as best I could, connected the first powercable and interlinks that I found (Lapp with IeGO’s and Transparent Ultra XL XLR), cued a well-known track and started listening. All it took was 5 seconds to realise that the Aeris not only sounds better than the other DACs that I had setup for comparison, it sounds better than any other DAC that I have ever owned or reviewed! Above: This 5th leg centered at the bottom of the unit is actually a nice touch: it is the infrared sensor in a semi-transparent housing. This makes it possible to remotely operate the Aeris from a very wide angle. The sound is typical Rowland: sweet, smooth, open, airy and highly emotional. But not only that, it is also quick, articulate.. and very dynamic! Apart from the huge dynamic range, the attribute that really impressed me was the bass. 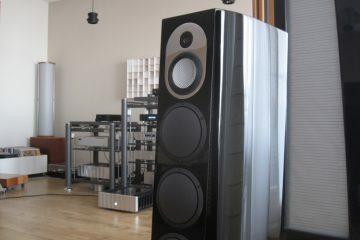 Traditionally not a typical Rowland forte, the Aeris has deep, beefy bass that is also highly articulate. The bass is so good that the first thing I did was to compare it to the PWD on that aspect alone. The PWD historically has the fullest, most physical bass that I have yet encountered, together with the Wadia 861 CD player. The Meridian Sooloos setup (MD600+818) never entirely delivered this kind of bass fulness but still came in second best. Would you believe that the Aeris actually has the best bass performance I have heard thus far? I certainly didn’t see that one coming. Yup: up went my expectations again. The Aeris wasn’t warmed up, setup correctly, or even optimised with matching interlinks or powercables but it already had me convinced. It was time to rearrange the Spider rack. I eventually settled on a configuration that omitted the Levinson CD player but allowed for the best comparative listening between the PWD and Aeris. Once listening resumed, I was surprised by how little different it sounded compared to the initial “stack ‘m high” method. Some components are more sensitive to setup than others, Meridian Sooloos components for example are highly sensitive to setup. You can make them sound smooth or shouty depending on setup. But the Rowland, on its dedicated Spider level, had a very consistent sound. There were small differences: the bass was a little tighter and the midrange a little more prominent. But its basic character seemed not to have altered much. Now that the Aeris was setup appropriately, but still connected with the same Lapp powercable and Transparent Ultra XL XLR interlink, it was time for some serious comparisons. I already mentioned the PWD’s bass performance. Not everybody will like this full-bodied sound but I definitely do, and my Magnepans certainly benefit from it. Good though the PWD’s bass is, the Aeris clearly shows that it could do better. Not only is the Aeris’ bass more nimble and more articulate, it is also deeper, riper, rounder. Call me a bass-fetishist, but this really is something to behold. Next up in the frequency range is the midrange. 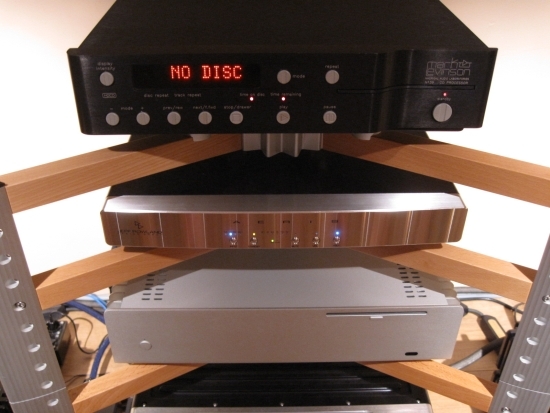 Some CD players or DACs can have well-balanced, great overall sound, but still sound synthetic. Not the PWD, which has an acoustically very convincing sound: something wooden, rather than plastic. Piano really sounds like the percussion instrument that it is and snare drums are a party. But there’s also some exaggeration about the PWD’s midrange. For all its acoustical rightness, it also overdoes it a little. Don’t get me wrong: it doesn’t shout and certainly isn’t agressive, but like another reviewer put it very nicely: “there’s a little too much salt and pepper”. The Aeris clearly demonstrates just what it is that the PWD does wrong. It is hard to put into words effectively, but believe me when I say that the Aeris has all the attack, power and dynamic swing you could ask for, coupled with the most sensuous, voluptuous, smooth and rich midrange. You’d be forgiven for thinking that given those descriptors surely it must be overly warm, but it really isn’t. Its soundbalance is actually highly neutral, and natural. The PWD may have been acoustically convincing, but the Aeris sounds so real that it is almost scary. Moving up the frequency range the two components move even further apart. Judged by itself, the PWD already doesn’t score many points in the treble department but the contrast with the Aeris is extreme. The Aeris is all-Rowland in the treble: extended, airy, liquid and super-refined. Ahh, how my Magnepans’ Ribbon tweeters love that. As do I. Going back and forth between the Aeris and PWD served to confound my earlier conclusions but also gave me one little thing to chew on. For all its midrange seasoning, and in spite of its clipped sound, the PWD could sometimes sound more appealing with some songs. But remember my catchphrase somewhere in the beginning of this review? “In audio it is all about balance”. The Aeris hadn’t been tweaked yet at all. Now I just had to find out: how much further could I take the Aeris by carefully tuning all that I could? And, most importantly, could it make me forget about the PWD? I experimented with various powercables, interlinks, positions in the rack, supporting feet and changes to the other components. While swapping cables, again it was clear that the Aeris is less sensitive to these changes than many other components. Where some DACs can be made or broken by the wrong interlink, the Aeris was happy to play with either Transparent or Cardas. There was a difference, but it was much smaller than usual. But the difference was there and with every change I made, I was getting closer to my goal. What ultimately worked best was were Cardas Hexlink Golden 5C interlinks, Gold Label powercable, Ceraballs, a change in powercables for some of the other components in the chain and lastly a change in position in the extensionblock for the Aeris. 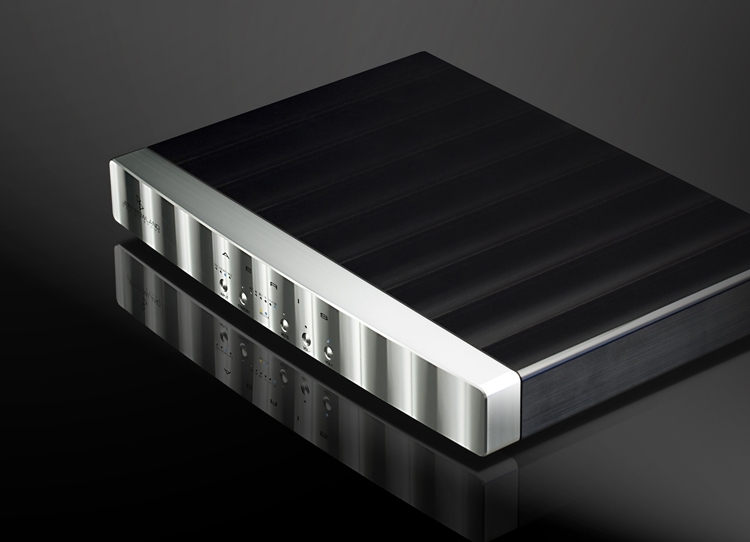 Above: Separately housed power supply – naturally machined from a solid block of aluminium and whisper-quiet. When all was done the Aeris was performing at an unprecedented level. 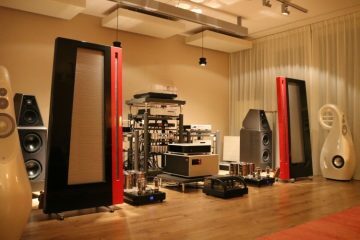 From memory, only the Linn Klimax DS/1 came close to sounding this organic and free-flowing but I know for certain that it cannot match the Aeris’ bass performance, nor its sublime soundstage layering. 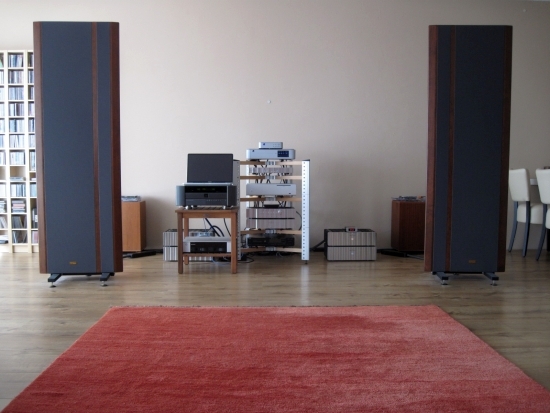 The Aeris’ soundstage is about the same size as that of the PWD, but much more refined. Both sideways and front to back there are just layers and layers of detail. The Meridian 818 also does this kind of layering to an extent but as it would soon turn out, definitely not as achieved as the Aeris. The Aeris can play up to 192khz using spdif inputs but is limited to 96khz with USB. This is a conscious decision based on maintaining signal stability. And based on what I have heard, I think you’ll have little need for ultra hi-res material. Frankly I was a little afraid to make this comparison. 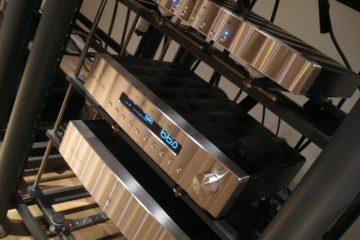 After all: the Sooloos pairing had already proven to be an ideal combination of the PWD and Mark Levinson CD player. What if the Aeris had been playing mind tricks on me and the Meridian pair would still sound better? I needn’t have worried. Apparently the Aeris had slowly opened up throughout my listening tests, as well as moved toward my desired sound by means of various changes in cables, because by comparison the Meridian combo sounded woolly and processed and even slightly veiled. It wasn’t bad at all though, granted: the soundstage was still large, bass was also quite good and treble wasn’t bad either. But resolution was clearly lagging behind, and gone was the feeling of listening to real musicians. The Aeris had simply spoiled me by being so much better in every area! Because I was so impressed, I invited 4 friends over to witness the last comparative tests. I decided to pull all the stops and compare everything to everything. We started with the Macbook connected to the PS Audio NuWave DAC, proceeded to the PWD MKII and ended on the Aeris. 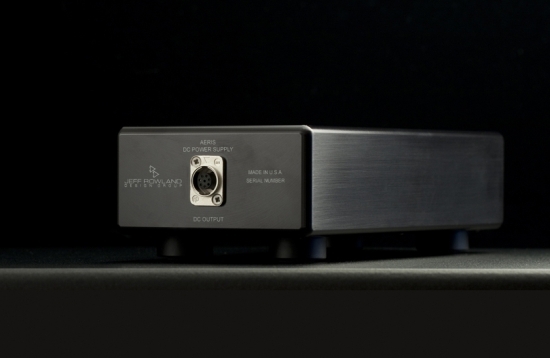 The first DAC was pretty good, especially given its low price point but the PWD was simply better and performed a class higher in all respects. Still it was audible that we were listening to a computer source. 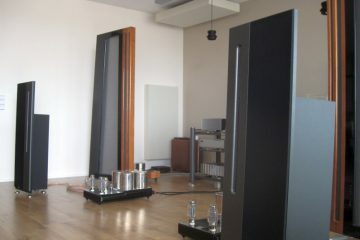 Again the Aeris surprised me by sounding considerably larger, deeper and harmonically richer! We were almost already happy with the Macbook for a source and even if the PWD was my previous reference for USB playback, it had to hand the crown to the Aeris. Then I swapped the Macbook for the AAZ Ultra Flow. And again we were all astounded by the large difference. As good as the Macbook playback was, this was again much better, mostly in terms of bass solidity, harmonic richness and acoustical believability. Then I played the same tracks on the Sooloos system. Yup: it was unanimous: it sounds fine but definitely isn’t a match for the AAZ Ultra + Aeris combo. Hours of listening followed during which our opinions were formed firmer and firmer. 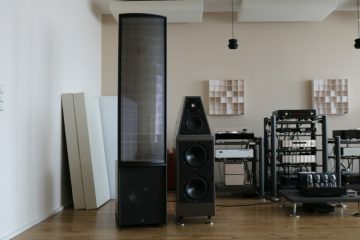 At some point, after listening to the Aeris for hours, we went back to the PWD and were dumbfounded at how flat and gray it sounded by comparison. Yes, the Aeris is a spoiler. I thought it fun to try one last thing: to compare the Levinson 390S CD player to the AAZ Ultra Flow and Aeris. Ok, even if we weren’t convinced before: now we surely were. Only one of the five listeners had warm feelings for the more forgiving thicker, fatter CD sound but even he caved after playing a few tracks. The CD may have a super phat sound, it is also lacking severely in resolution, treble air and PRAT. Then someone suggested connecting the Levinson coaxially and using it as a source into the Aeris. Not expecting fireworks, I obliged and wasn’t ready for what was coming. The sound opened up to an unbelievable extent and it was almost like listening to the AAZ Ultra Flow! Not only were overall resolution and treble now almost on par, surprisingly this time I also heard no SPDIF artefacts! There was absolutely no slowing down of speed or reduction in dynamics and PRAT was actually excellent. The brochure does mention IsoSyncECS and a super low litter value but doesn’t every manufacturer have its own smart take on the jitter problem? Wadia has RockLock, PS Audio has Digital Lense and Levinson also has some proprietary smart PLL circuit. But as happens so rarely, the claim seems to hold 100% true. Above: Cardas Rhodium XLR outputs, cinch outputs, 2x BNC spdif coax in, toslink in, USB in and DC power connector. By now I am running out of ways to express how I feel about the Aeris DAC. 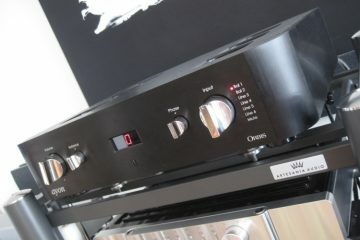 It is not only the best DAC I have heard to date but also the most consistently well-performing one. No matter the placement, cables or source, the outcome is always superb. Also important to note is that while the Aeris does have the typical super-refined Rowland sound, it can also boogie with the best. This is a super-natural, highly civilised but supremely dynamic performer that I expect will work well in various setups. My feeling about the Aeris is best described as follows: “I must have it”. While older Jeff Rowland gear, such as my Model sixes and Coherence II, use XLR pin 3 for hot, newer Rowland gear adheres to the more popular pin 2 hot scheme. So, don’t forget to set phase appropriately when using the XLR outputs. “We will not upgrade the USB input for 192 k operation on the present Aeris due to the costs involved and the serious limitations that 192khz presents for USB transmission and the length limitation for the USB 2 format. It’s not too big a stretch to compare these. It would be from memory as I don’t have either at hand anymore but I have done many comparisons with these DACs and recall them both very well. Although the Levinson is a multi bitter and the Rowland a single bitter, they have more than a few similarities. Night and day they are perhaps not, but they are still different. Detail-wise they are probably comparable and they are both smooth and fluid, not at all digital in the “square” or “harsh” manner. The Aeris however is definitely more lively, and rhythmically more engaging than the 360S, which I always felt had a slightly metronomic quality to it. 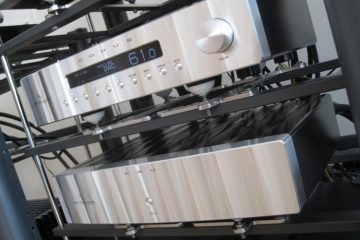 I have compared Marantz SA7S1 + Grimm CC1 + ML 360S and Accuphase DP-550. I prefer Marantz SA7S1 + Grimm CC1 + ML 360S. It’s more detailled and musical. If I have to compare Marantz SA7S1 + Grimm CC1 and Marantz SA7S1 + Grimm CC1 + ML 360S : i can say…We listen more the voices with the SA7S1 but it’s not satisfied me. 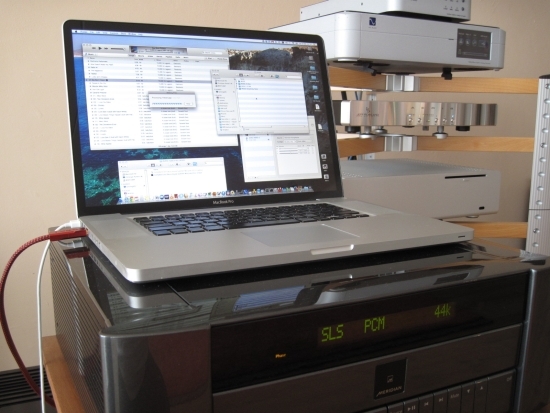 The combination Marantz SA7S1 + Grimm CC1 + ML 360S is very musical…We have the music in 3D. Interesting combination of components. And if it sounds good, it sounds good. But is this not under-using the Grimm? I’d suppose it performs best when using its own highly stable clock. Do you use it in slave mode? And do you use any upsampling? If so, which rate do you think sounds best? If I am not under-using the Grimm CC1, the sound is not fluid. The voices are not human…Sound without Grimm CC1 was accuracy, detailled, but digital…Perhaps metallic. The CC1 accepts Word Clock and sync AES/EBU with the ML 360S. So if I try to be clear. First step : SACD Player Marantz SA7S1 is connected with the Grimm CC1 with the Word Clock and a special BNC/AES cable. Second step : a second cable AES/AES is connected between the Grimm CC1 and the ML 360S…So Grimm CC1 is not only a word clock but sync AES/EBU signal. Sorry for my english. I hope you understand me. If I listen SACD, it’s just with Grimm CC1 and SA7S1. Just curious if the XLR output jack of aeris can be rotated 180 degree like the 725 that u have reviewed on, without opening the case cover? Is it by unscrewing the two screws of the cardas plate of the XLR jack at the back of the aeris? Hi Joey, yes, these are the same type of connectors. Alas, I don’t have either unit at hand but do know that you can reposition it without opening the unit.